The New Mexico Public Regulation Commission (PRC) approved Public Service Co. of New Mexico (PNM)’s 2019 renewable energy plan last week. The plan, submitted annually to the PRC, lays out efforts to meet the state’s renewable portfolio standard, which requires that public utilities derive 20 percent of their retail electricity sales from renewable sources by 2020. The new plan essentially reaffirms projects PNM outlined in its current, 2018 plan, which included construction of 50 more megawatts of PNM-owned solar generation in 2019. The current plan also calls for extending existing contracts with third-party power producers to buy more wind and geothermal electricity from plants that are now being upgraded to increase output. 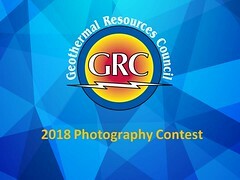 As of September 2018 New Mexico generates 9 GWh from 1.6 MW of geothermal capacity.